Easily edit and create animation in screen space using camera X, Y and Depth. 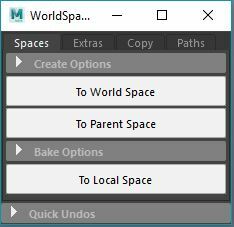 Advanced animation tools for manipulating animation relative to screen space, including the ability to switch spaces to/from local space and screen space for almost any control. 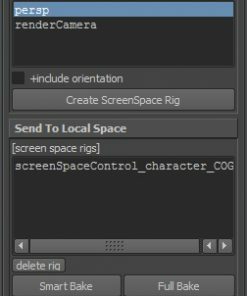 Quickly edit your animation of one or many controls in screen space. Animation becomes relative to the camera, using x-horizontal, y-vertical and depth-(distance to camera) curves. Great for animating flying objects, or finding depth bumps in object tracks. 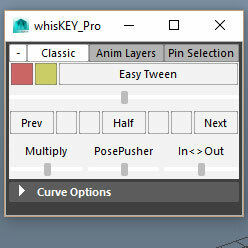 Animator friendly, have the choice to use only your existing keyframes. Matchmove friendly, have the choice to bake all keys. Can be used in many more creative ways. 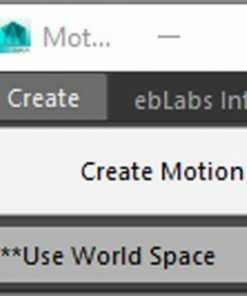 Save “ebLabs_screenSpace.mel” to your maya scripts folder. [Cameras In Scene] This list will show all the cameras in the scene. 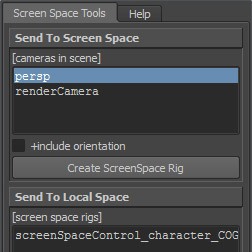 Since screen space is relative to your point of view, you’ll need to pick a camera here to make a screen space rig. +include Orientation Check this if you would like to also control orientation with the screen space rig. Create Screen Space Rig Clicking this button will make a screen space rig for all of your selected controls, using the highlighted camera. 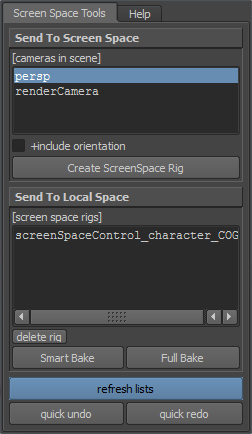 [Screen Space Rigs] You can either select the controls in the viewport, or using this list. This is mainly for making it easier to select controls, and to bake more than one control simultaneously. Delete You can either delete a screen space using this button, or by deleting the entire rig group from the outliner. Your animation will go back to how it was previously, without any clutter left in your scene. 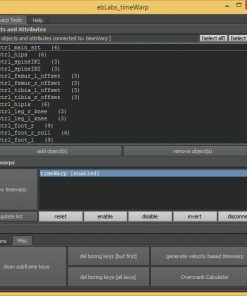 Smart Bake For animators, this will bake out your animation using only the keyframes that already exist, rather than creating a key on every frame. Full Bake For match move artists, this will bake out every frame. Refresh Lists Click to update all the lists in the screen space UI. Quick Undo/Redo This is a handy shortcut for undo and redo that will also temporarily disable the maya UI. Undo’s and redo’s for something like creating a screen space rig, can take a long time without this. Hover over buttons for more info, or check out this help tab! We had complex animation of a camera following behind a cg bird. Animation was nearly finished, but there was a small layout/camera change. Since the bird was animated to the camera the bird was no longer in frame and the shot was essentially broken. Instead of reworking the entire animation, we put the character in screen space, updated the camera then smart baked the animation back onto the local controls. 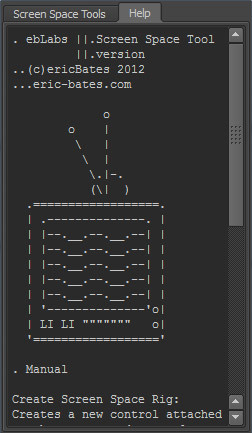 Only took a few minutes, and the bird animation was preserved. Creating smooth animation of a character flying by the camera during a whip pan can be really difficult to get right. We used this many times to get flybys of characters like birds and space ships looking really good. The director liked how the bee was flying through the scene, only it was just too small. We couldn’t scale the rig because of technical issues, so we just put the character in screen space, and dragged its depth curve closer to camera to make it bigger in frame while keeping the identical movement throughout the shot. A similar situation happened but with a much more complex character. The animation was nearly finished on a rotomated humanoid character, but in the end realized it was just a hair too small. Since it was covering the plate, simply moving just the main COG caused the character to slip off the plate. 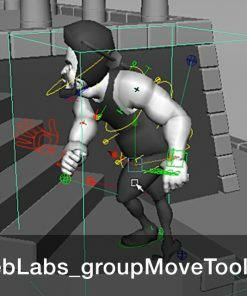 We put the entire character (ik hands/feet, pole vectors, hips, and chest controls ) in screen space and simply dragged the depth closer for everything. Worked great! If you’ve discovered a creative way to use these tools, let us know! These tools are a huge time saver. Shots that would normally take me several hours to fix are done within minutes. 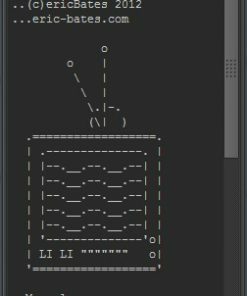 The screenSpace tools alone are a must have for any matchmover, especially where object tracking is concerned. 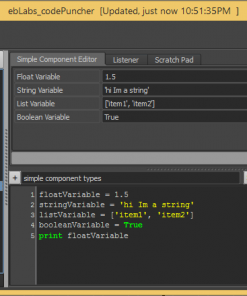 The ScreenSpace tool has saved a tonne of time with dynamic object tracks & rotoanimation. The team here uses it religiously!